Meet HTC 10. The smartphone crafted with obsession. You get unprecedented control. Off the chart performance. And innovations like the worldâs first dual OIS for pro level photos front and back, as well as end-to-end 24-bit Hi-Res sound. Weâre redefining what a flagship phone is truly meant to be. And think youâll love the result. Itâs the beauty of light, crafted into a brand new all-metal unibody. Every element of HTC 10 has been designed, refined and perfected. From the bold new chamfered contour to its stunning dual-textured finish and quality construction. All the way down to getting the perfect click from the power button. HTC 10 delivers what may well be the best smartphone camera available today. With innovations like the worldâs first OIS front and back, 12 million UltraPixels, faster laser autofocus and more. A DxOMark score of 88, one of the highest camera quality scores of any smartphone so far, shows weâre definitely on the right track. 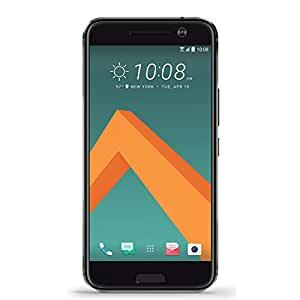 HTC 10 sets a new gold standard in sound quality with its brand new BoomSound Hi-Fi edition speakers, Personal Audio Profile and Hi-Res audio earphones. All of which works beautifully with HTC 10âs certified 24-bit Hi-Res audio. Music has never sounded this good on a smartphone.